London : George G. Harrap & Co. Limited, 1934. 250 pages ; jigsaw puzzle. A striking client retains Perry Mason to pay-off a scandal sheet, but is then accused of murder. The first book in the Perry Mason series. 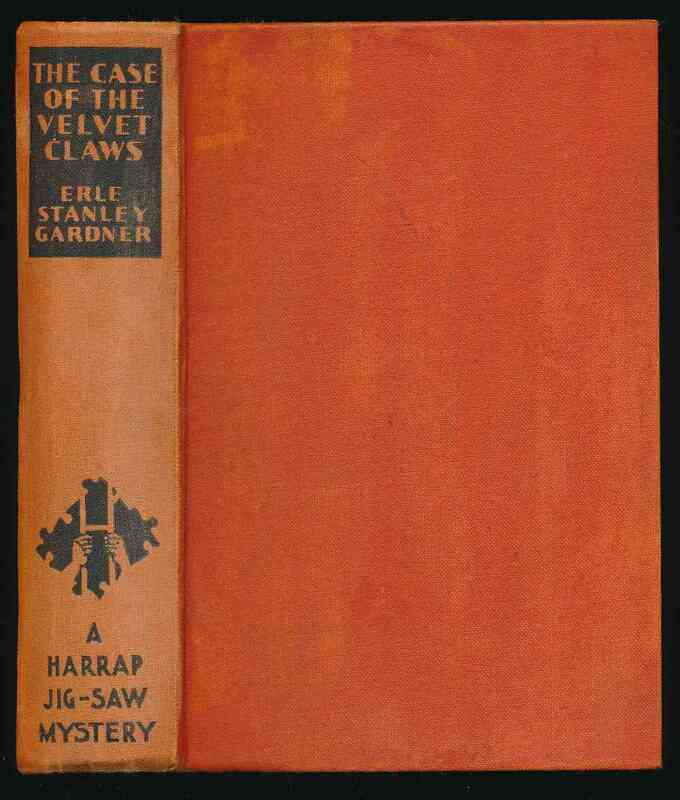 A reading copy in orange cloth lettered in orange on a black panel, and lettered and decorated in black, on spine. Water disturbance to boards, spine faded, and spine ends bumped. Two hotel labels on endpapers. Eight pieces missing from scarce jigsaw.